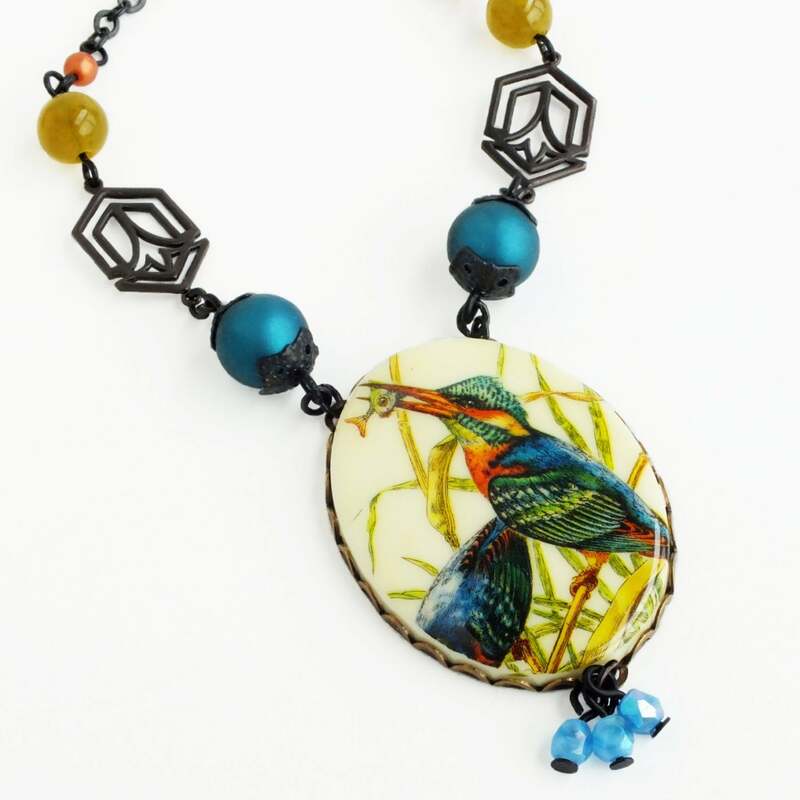 Handmade bird pendant necklace with large vintage kingfisher cameo. 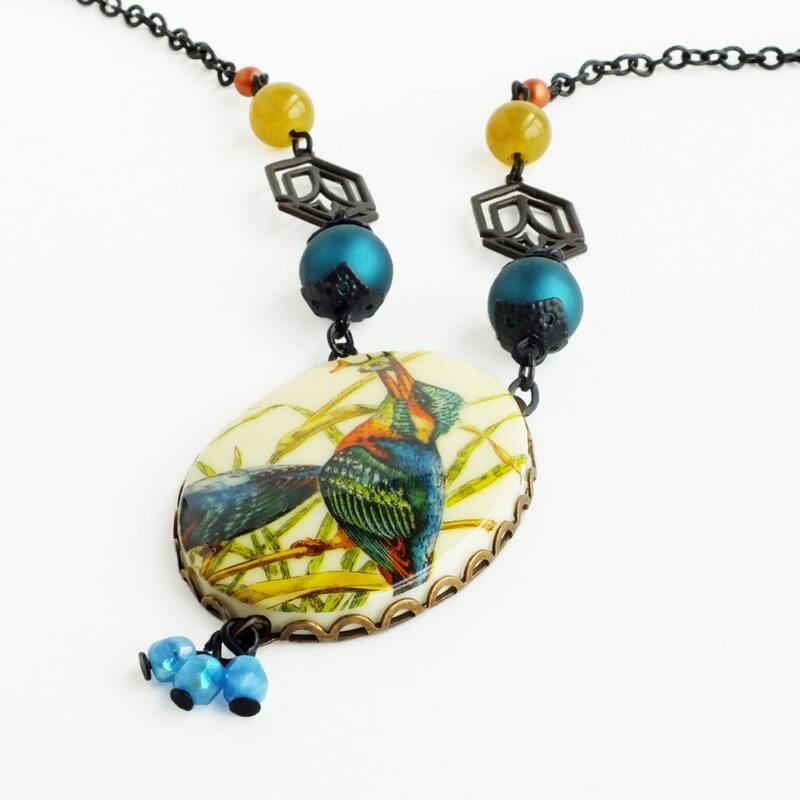 Just under 18 inches - 45.7 cm long. 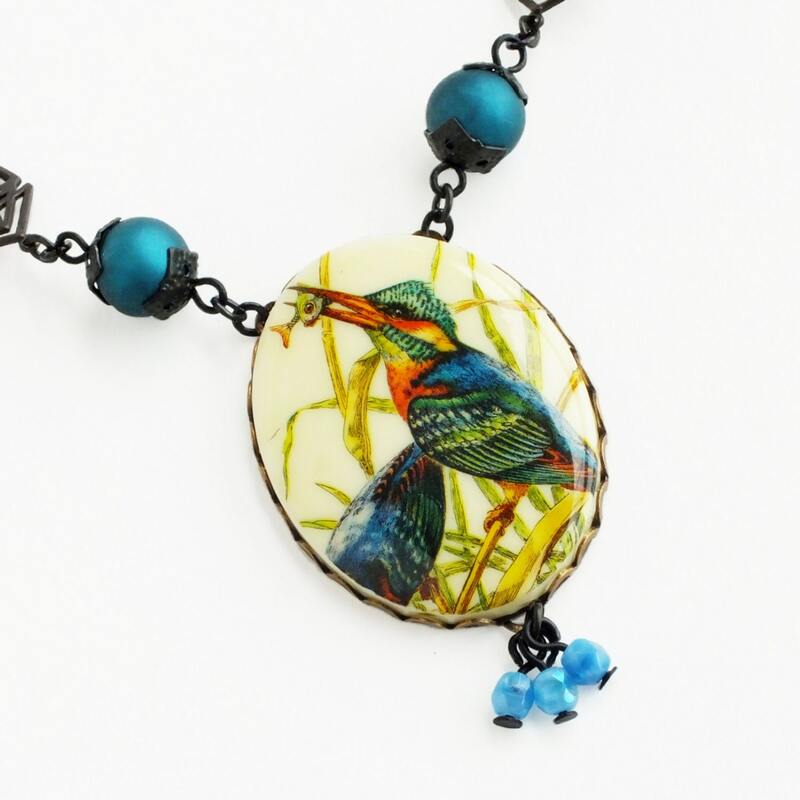 Made with a wonderful large vintage cameo featuring a pair of colorful Kingfisher birds. 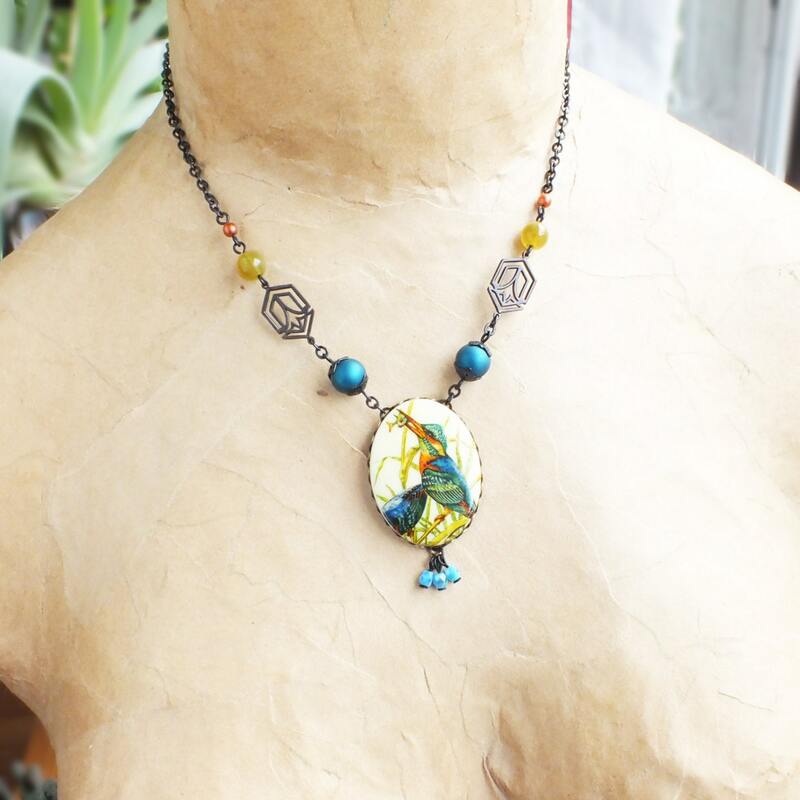 Set in a lacy antiqued brass frame adorned with a small iridescent light blue Czech glass beads. 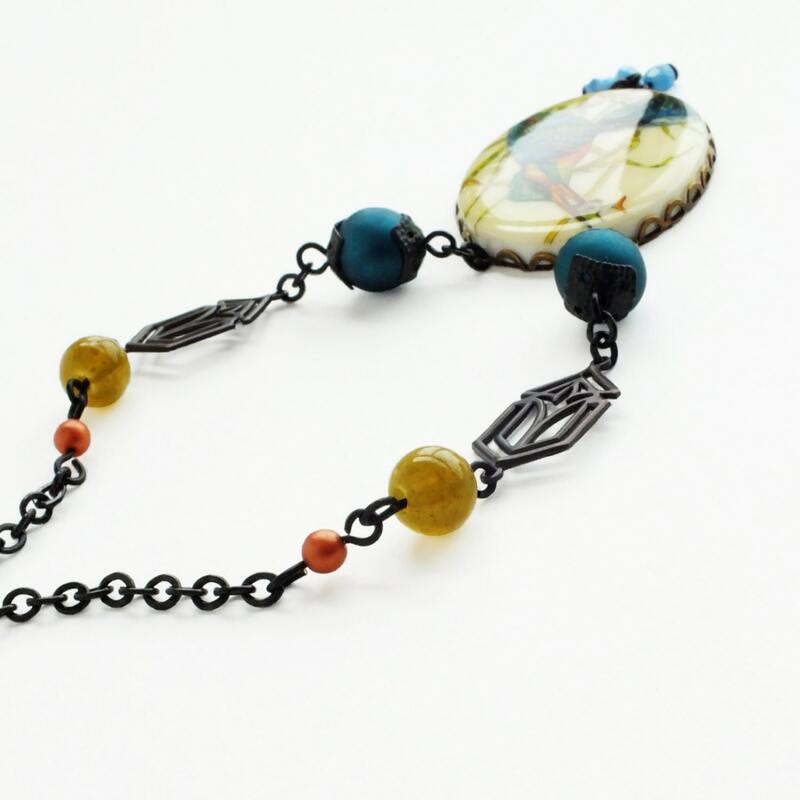 The antiqued brass chain features a mix of teal, olive and copper colored beads with weathered brass Art Deco findings .